Sign up to win Chameleon Fineliner Pens, and get up to 45% off when we launch! Chameleon is the only patented system that allows you to seamlessly blend colors, create depth, dimension, gradients, highlights, shading, and shadows. The newest addition to the Chameleon family, the Chameleon Fineliner Pen, was designed with everyone in mind, from amateur and professional artists to those who just love to write. 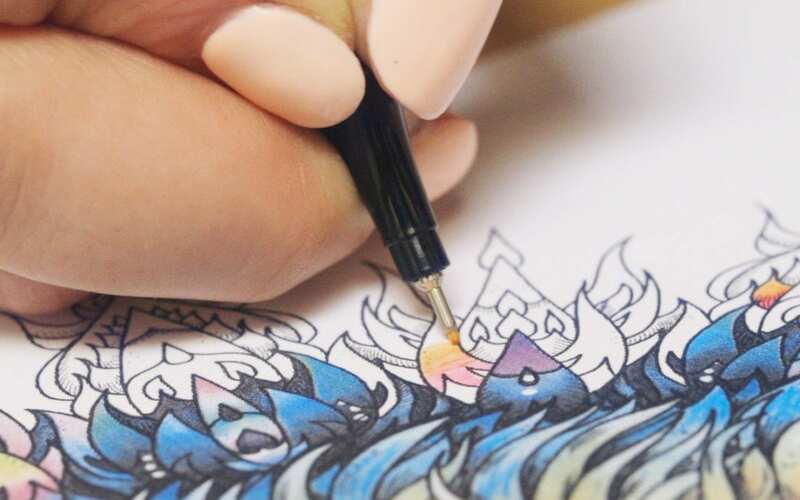 Chameleon Fineliners were elegantly crafted to incorporate the same color blending technology but in the form of an ergonomic, fine point Japanese precision 0.3mm metal clad tip filled with water-based, dry-safe ink. 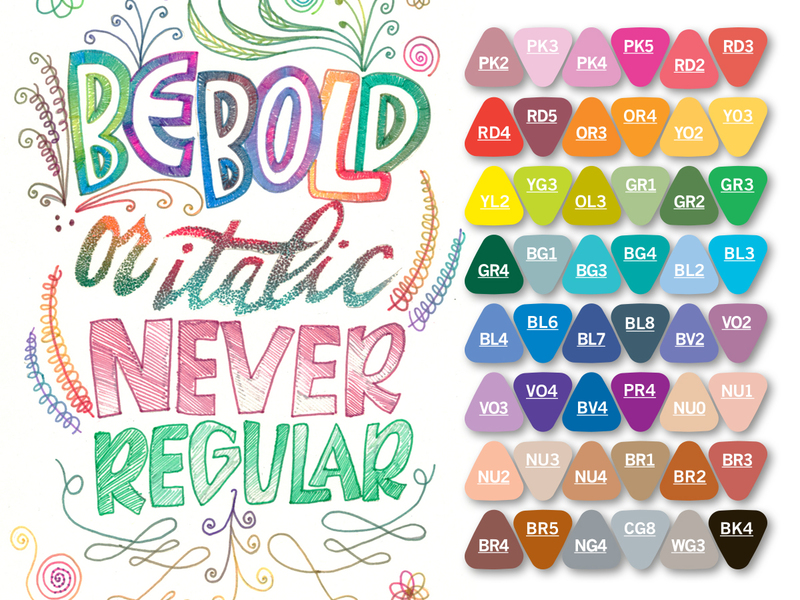 Its 48 brilliant colors have the ability to make up to 1,128 color-blending combinations. 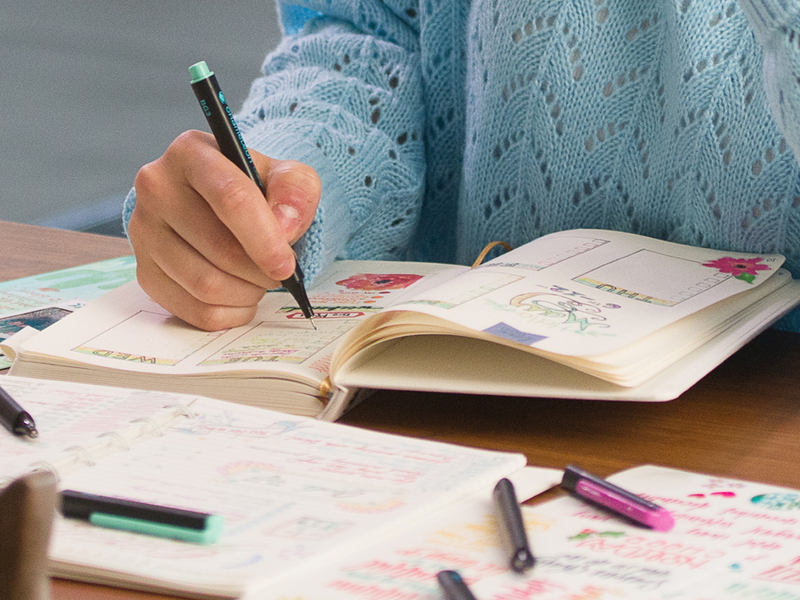 The result: an everyday pen, Ideal for, writing, coloring, doodling, journals, and planners. Sign up for your chance to win Chameleon Fineliners! Chameleon Fineliners are designed with a fine point, Japanese precision 0.3mm metal clad tip for super smooth writing performance and superior ink flow. 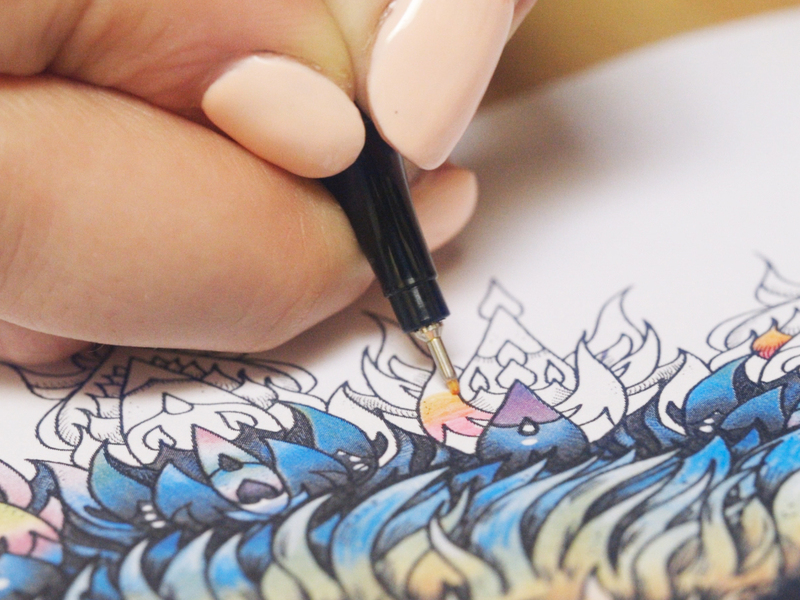 With Chameleon Fineliners, you can create seamless color blends in even the smallest space! Chameleon Fineliners are perfect for use as an everyday pen. Ideal for, writing, coloring, doodling, and drawing and perfect for bullet journals and planners as the ink won’t bleed through most papers. 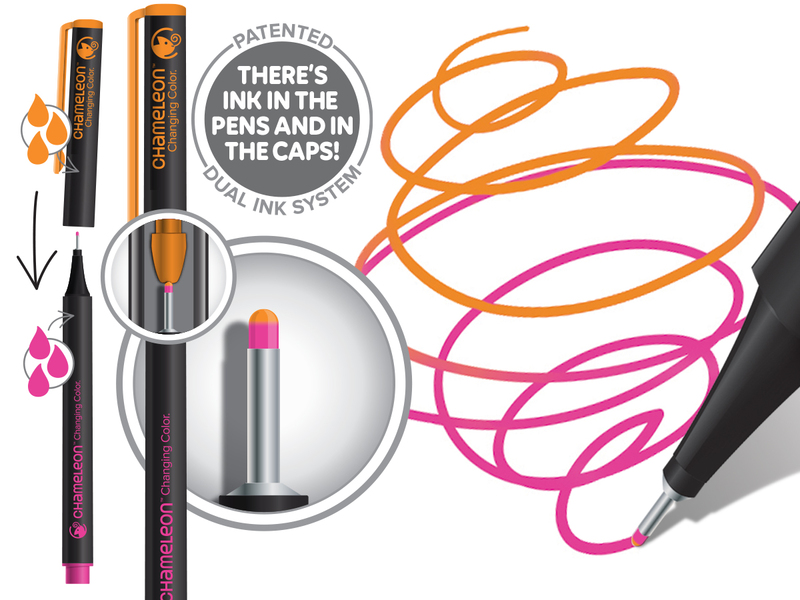 Chameleon Fineliners have a patented dual ink system, with ink in the pen and in the cap, which makes for the perfect blend! To instantly blend colors, simply switch the cap, or hop the top to another pen, leave it a few seconds and begin writing or drawing. The longer the fuse, the longer the blend! 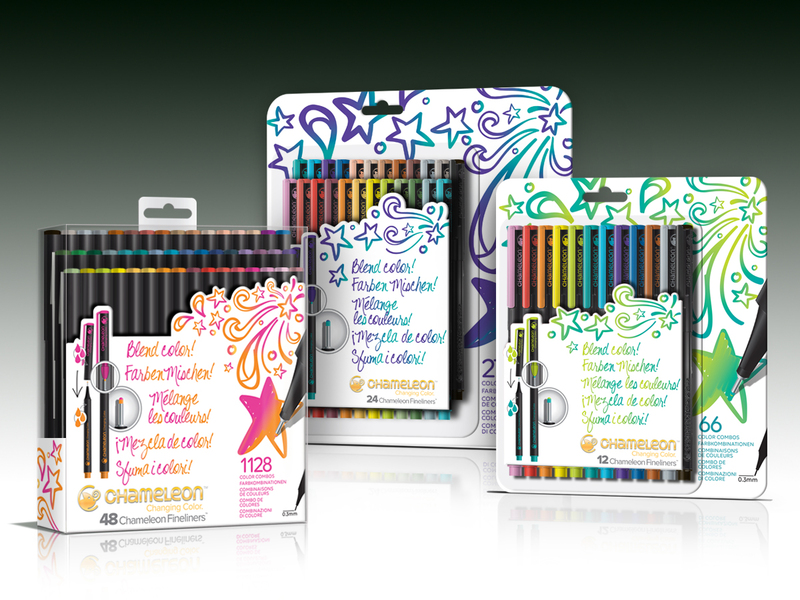 Chameleon Fineliners come in 48 brilliant colors that can make up to 1,128 possible color blending combinations for anything you might dream of. The Fineliner Pens will be sold on Kickstarter in packs of 12, 24 and 48.